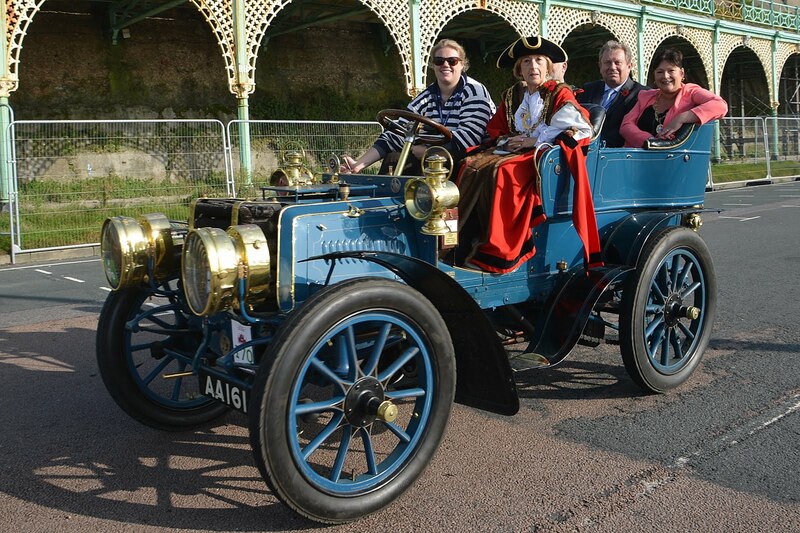 Today in Brighton, the London to Brighton Veteran Car Run, known affectionately by Brightonians as ‘The Old Crocks’, was attended by the Mayor of Brighton and Hove, Councillor Lynda Hyde. Accompanied by her consort, daughter Alison, the Mayor hitched a ride in a 1902 Panhard et Levassor driven by Rosie Battye, one of over six hundred veteran cars taking part. The London to Brighton Veteran Car Run is the world’s longest running motoring event.